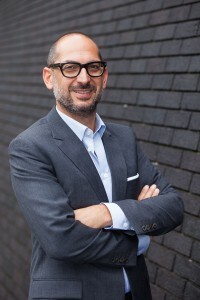 Professor Jian Farhadi is a Consultant Plastic Surgeon and past Director Department of Plastic & Reconstructive Surgery at Guy’s and St. Thomas’ Hospital in London. He is a specialist in reconstructive and aesthetic breast surgery and as well surgery after weight loss. He is the chair of the London Breast Meeting and the Co-director of the Masters in Breast Surgery Programm. He is the Founder of BRA Foundation, which helps to raise awareness on the options of breast reconstruction for woman facing mastectomy. He is listed on the GMC specialist register and is member of BAPRAS, EURAPS, SGPRAC and ASPS. The art of surgery has been passed on to him by being the 5th generation in his family. He has a an extensive experience in reconstructive surgery after double mastectomy using own tissue or implants combined with a matrix. As a microsurgeon he performs almost 200 own tissue reconstruction by DIEP, SGAP, PAP or TUG flap per year. Furthermore he offers microsurgical treatment of chronic lymphedema of the arm by lymphnode transfer.